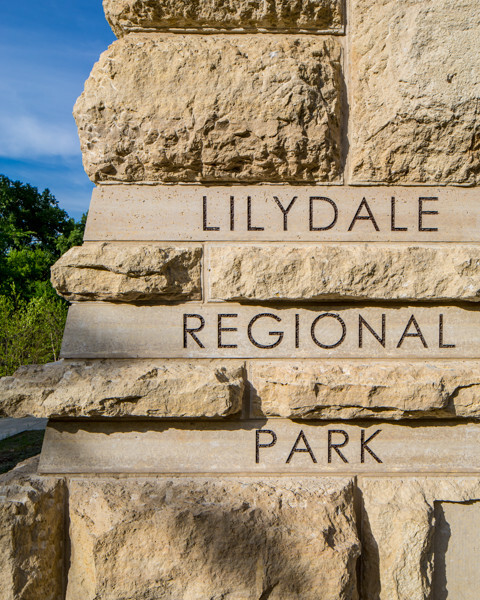 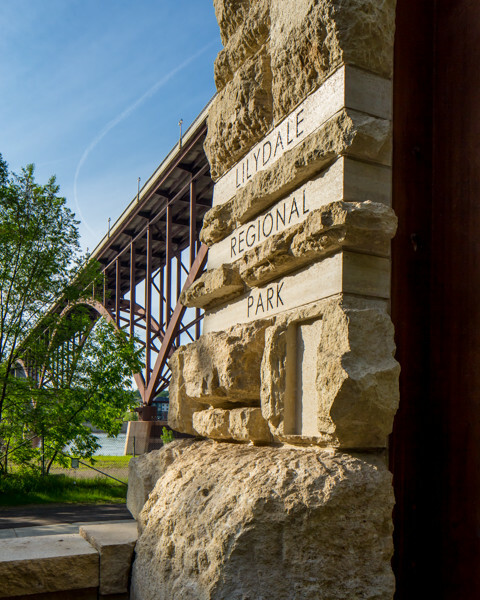 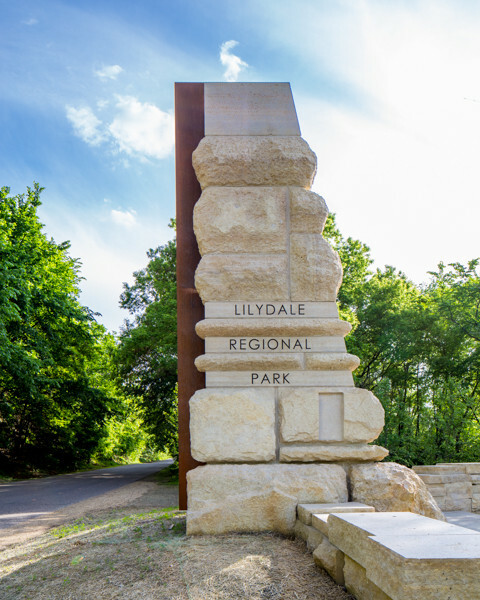 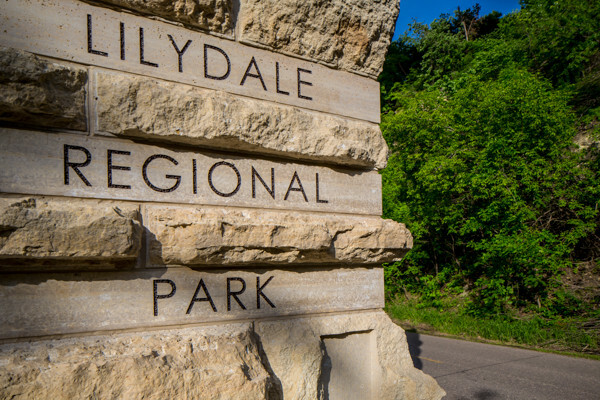 The Lilydale monument was part of the first phase of a series of park improvements for the City of St. Paul Parks System. 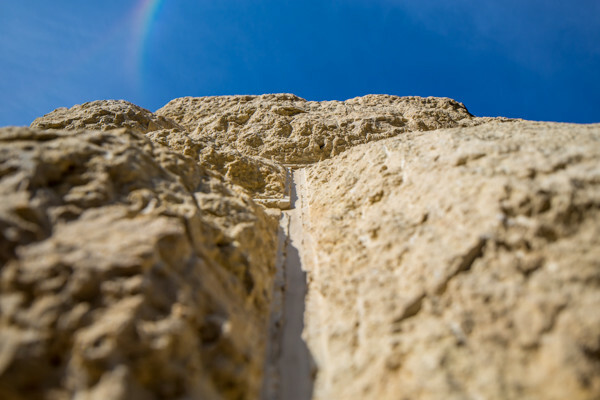 The monument consists of 39 pieces of Biesanz MDL, while the walls and walkway surrounding the monument feature 95 pieces of MDL – totaling 135 tons of honed and split face MDL. 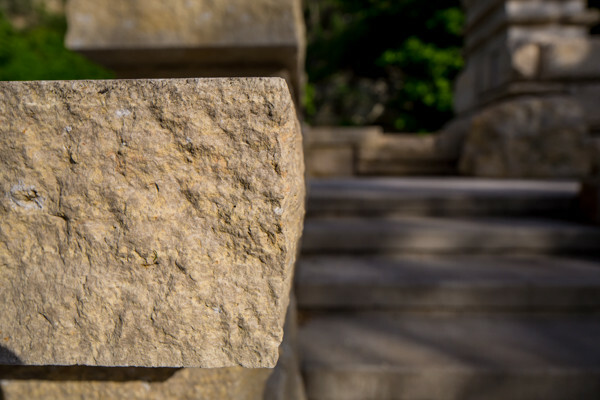 The largest stone, which is featured at the base of the monument, weighs approximately 15 tons (fabricated from a 20 ton stone piece) and provided Biesanz with unique fabrication and handling challenges. 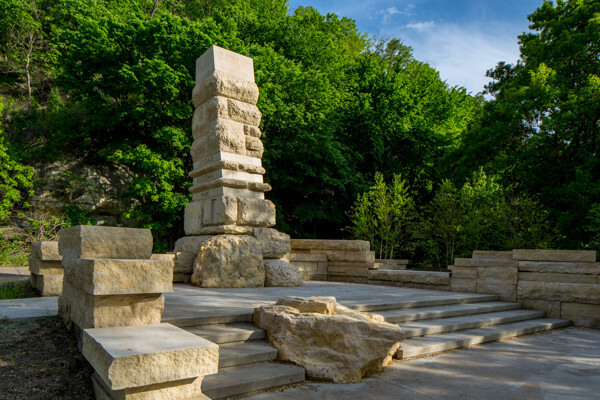 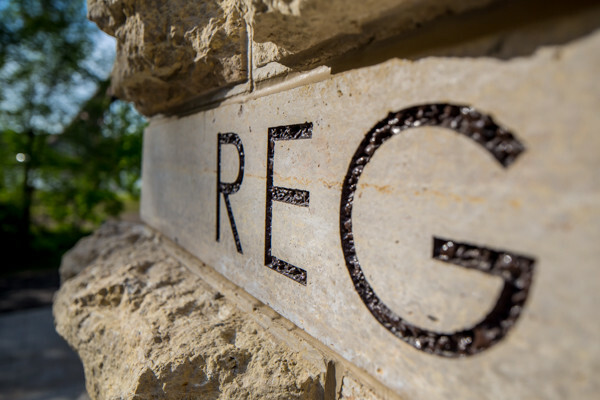 All stone was cut to size and machine split, delivered to the site and custom dry-stacked, and installed by stone and masonry experts with stainless steel straps and adhesives. 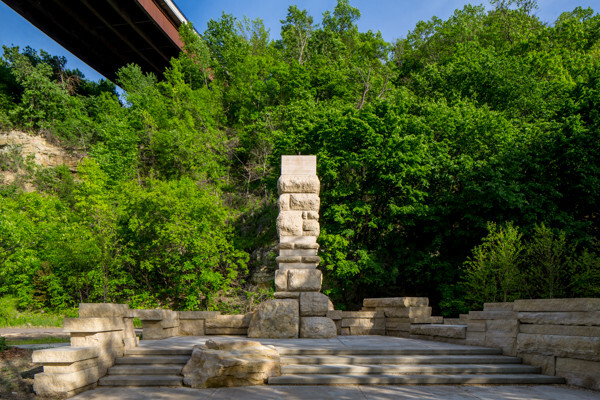 The stone monument was then hand-pillowed at the site to complete the desired monolithic look.